Godrej is that name we have all grown up with. When Godrej decided to foray in to construction,the results are bound to be good!! Godrej 101 gives you premium residences in the heart of Gurgaon. Godrej 101 is a premium apartment residence on New Golf Course Road, Sector 79, Gurgaon which features 2, 2.5 and 3.5 BHK. Godrej is offering amazing discounts with unbeatable and unmatchable price of Rs.5, 225/- per sq. ft. An assured gift worth Rs. 5 lakhs for spot booking is waiting for you! That’s not all!!!! You get free maintenance for 5 quarters after the possession, the spot booking amounts to Rs.50, 000/- and this offer is available for the first 50 customers only. The flats have sizes starting from 1,350 sq. ft. to 2300 sq. ft. The payment plan is designed in the ratio of 20:20:20:20:20, meaning you pay 20% within 3 months, next 20% within 10 months, next 20% within 15 months, next 20% within 21 months and last 20% at the time of possession. Spread over 10.5 acres of vast land, Godrej 101 is still in its pre-launch stage. The project is estimated to be completed and ready for possession by 2019. Each apartment is hand crafted with perfect ventilation, spacious and luxurious to the core, fully air conditioned for hot humid days. Godrej is committed to take care of and maintain all the amenities before and after the possession. As the name suggests, Godrej 101 has a world class amenity which exclusively features outdoor activities like cricket pitch, golf putting, basketball, swimming, lawn tennis, table tennis, skate boarding, football and badminton to keep you active and moving. Talking about indoor amenities, which feature cards room, karaoke, Salsa, tree house, sandpit to keep the little explorers busy, barbeque spots for outdoor parties, star gazing deck for those romantic moments, pool juice bar and Bollywood dance for dance enthusiasts are worth having. Apart from that, Godrej 101 has included hammock, plant saplings, yoga, and centralized greenery all around, café booth, gazebo, steam room, urban farming and reflexology. All the indoor activities will be conducted in spacious 18000 sq. ft club house which has ground plus 2 levels. It will have more activities such as double heighted squash court, pool side café or lounge, party terrace and half Olympic size swimming pool. There are 101 ways to keep you energized and happy with more activities which are spread across all age groups such as rock climbing, kids open play area, kiddie pool, outdoor gym, volleyball court, boxing area, trampoline for kids, Tia-condo coaching. The major highlight of Godrej 101 is the training program for all the sport to be conducted by Australian Sports Academy also known as Sports Pro and Delhi Dance Academy has been roped in for all lessons regarding dance and arts. Godrej 101 is located near Aravalli Hills. It bags the first project in the real estate history to have as many amenities, that are never seen anywhere. These amenities will inspire many builders to come up with such facilities for their customers in near future. It is easily accessible to NH 8, Northern Periphery and Southern Periphery road. 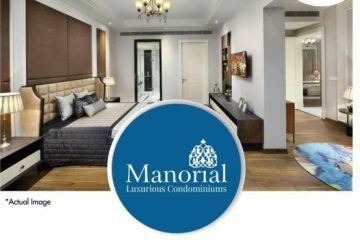 It is close to Delhi NCR, which helps you to connect all the major landmarks in the city. Speaking of Godrej, it has established its footprints in the property market all over India. Godrej has completed successful 5 years in Delhi NCR. It is actively involved in conserving nature and maintaining greener India. Godrej has been the recipient of Commercial Building of the Year Award by NDTV in 2015. Godrej, Garde City, Ahmedabad has also won the achievement award for construction, health, safety and environment at 8th CIDC Vishwakarma Awards in 2016. In coming years, Godrej 101 is going to be the landmark property not only in Delhi NCR, but entire India. When life offers you the best, do not think and compromise. Grab it and own it!! Godrej Group arrives with a new residential venture on New Golf Course Road, Gurgaon. Named Godrej 101, it’s a new launch targeted at those who wish to live in a place that has fitness-centric facilities. A 2-minute ride away from NH-8, Godrej 101 is spread in 10.5 acres with 7 towers offering2, 2.5 and 3.5 BHK apartments in sizes ranging from 1380 to 2360 square feet. The USP of this project is a range of 101 activities that drive a person to fitness. Godrej 101 offers a pool of sport-based facilities along with a tie-up with an international sports academy, Sportspro. Set within the premises, dance-based clubs have been provided with teachers sharpening your kids’ skills.The project is currently in its pre-launch phase and neighbours various retail outlets along with a few prominent hotels including Hyatt Regency. The payment proposition under this project is flexible divided in a ratio of20:20:60. Inaugural discounts shall be provided to early-bird investors too. Godrej 101 homes have natural light during the day and adequate air through efficient ventilation. Each unit merges well with the other and together the project stands out as a landmark. It is an epitome of luxury and spells comfort in every way.Godrej 101 Gurgaon is located in a promising area – Sector 79 Gurgaon right at the base of Aravalli range. It offers convenience and tops in any prospective homebuyers’ options. With direct access to Intersection of Northern Periphery Road, NH-8 and Southern Periphery Road with further connectivity to Delhi NCR, what more can you ask for in a home? Godrej 101 is a new project in sector 79, Gurgaon near Aravali -A group of hills in Gurgaon. It is described as luxury homes with freshness of air. Located in the 79 sector of Gurgaon, the project has set new standards for those living in Delhi NCR. The land is spread across 10.5 acres and there are luxury residences planned & crafted for special people. The view is gorgeous and green everywhere you look. Godrej 101 has notably earned the title, “Pride of Gurgaon” because of the design and concepts in the apartments. Included in the facilities are options that cater to the lifestyle of just about everyone. Some things that are included are: a clubhouse, swimming pool, library, security system and a safe area for the children to play. The exterior of the apartment is up to date and current. The design team made sure that they had the best air circulation possible for all of the apartments. The unique structure of the Goodrej 101 home helps it to stand out from the rest of the homes that are in the current market. The house takes full advantage of natural resources and uses daylight and ventilation to its fullest potential. The surrounding areas are utilized in the most resourceful manner to help increase the beauty of your home. 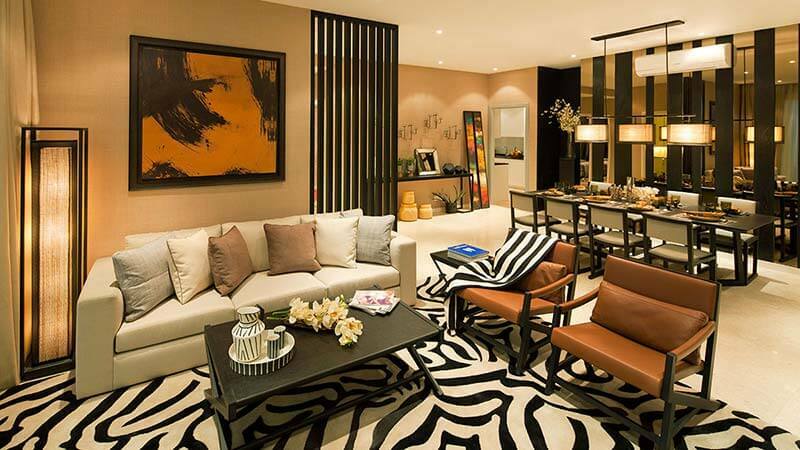 These apartments are designed initially as luxury living and 101 does it the best. We believe that our renters should have the user-friendly housing and that is exactly what we offer. The close proximity to the expressway means you are within minutes of the best parts of Delhi. Godrej Properties was established in 1990 as a real estate development company within the Godrej Group of businesses. The company was originally incorporated as Sea Breeze Constructions and Investments Private Limited on February 8, 1985. The company’s name was changed to Godrej Properties and Investments Private Limited on July 2, 1990 and subsequently to Godrej Properties Limited on November 23, 2004. Since 1897, customers have trusted Godrej to deliver innovation and excellence across a broad spectrum of services and products. The promise to deliver value drives the organization at every stage of operation. Firstly, the company evaluates the potential of possible locations and is led by a team of qualified managers. Once a location has been identified as a potential development zone, GPL works with only the foremost architects, contractors, and project managers to bring the project to life. GPL knows that its obligation to its customers and partners does not end upon the completion of a project, and therefore, provides post-project professional and accessible support also. Godrej Properties adheres to a simple philosophy: providing exemplary service based on the optimal use of available resources. The company has completed projects in Mumbai and Pune and is currently developing residential towers such as the Planet Godrej in central Mumbai and the Godrej Woodsman Estate in Bangalore. Godrej Properties intends to leverage its established brand image to deliver property solutions across major Indian metros. 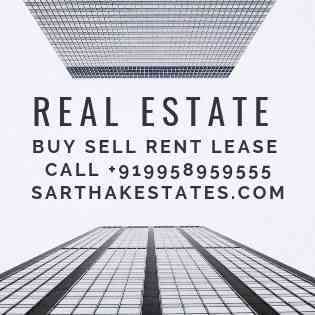 * godrej 101, godrej 101 gurgaon, godrej 101 sector 79, godrej 101 sector 79 gurgaon, godrej sector 79, godrej sector 79 gurgaon. Godrej Properties: Pre-launching premium residences at Gurgaon, Discover 101 activities to live inspired.Energise yourself with a game of tennis, work out to your heart’s content at the outdoor fitness area or pick any sports and fitness programmes offered by SportsPro. At Godrej 101, choose from 101 activities to live inspired every day.